I shot this image while on vacation in North East Vermont. Waking up early at my campsite I found the entire area blanketed in light fog while spectacular clouds moved slowly overhead. 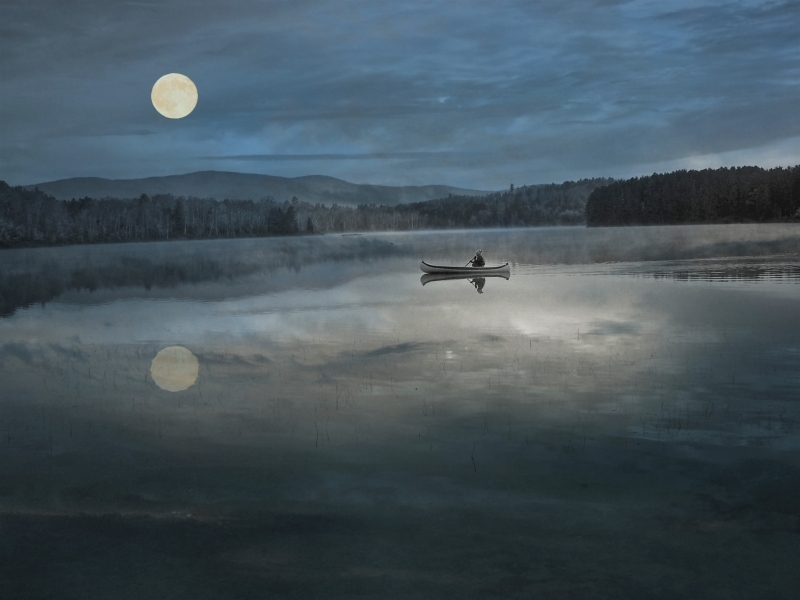 As I sat along the edge of Spectacle Pond, a lone man in his canoe came from around the bend and slowly slid across the glassy surface into the center of the scene. It was one of my most memorable photo opportunities.